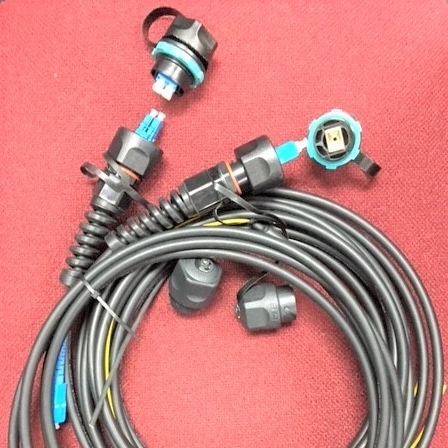 These are available from 10 meters up to 100 meters, with custom length available. 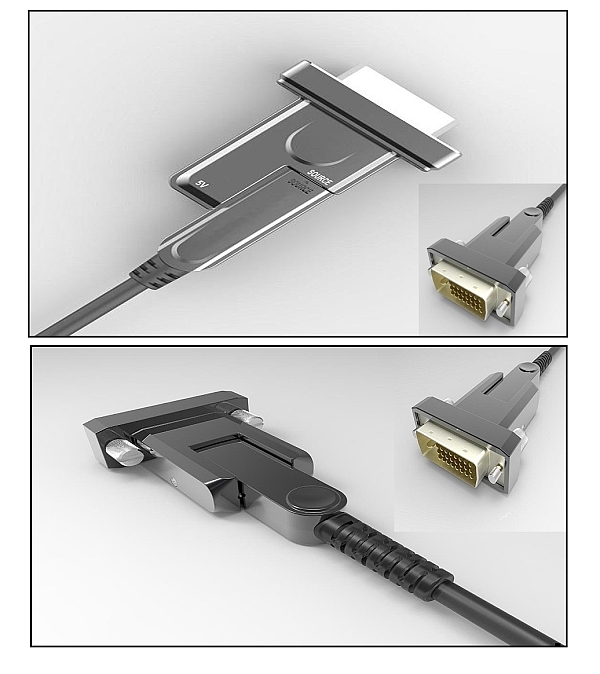 DVI side and center entry Hybrid assemblies to support HDMI data rate of 6 Gbps, with a signal integrity up to 100 meters. 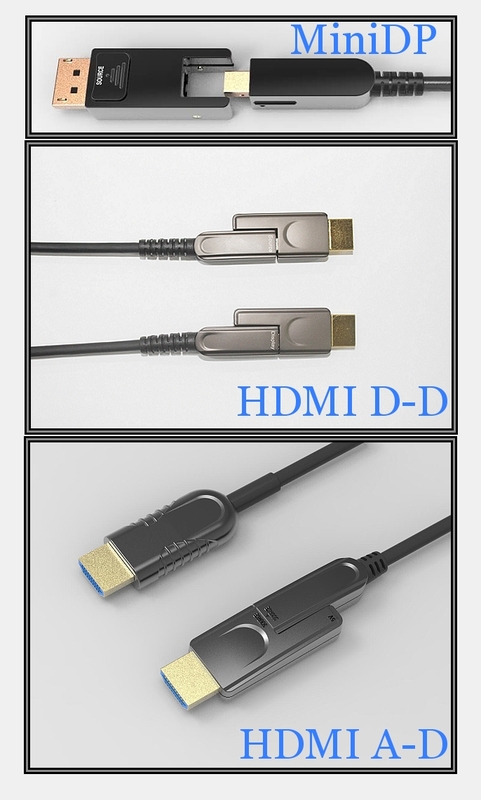 AOC cable transmission date rate length is up to 100 meters. 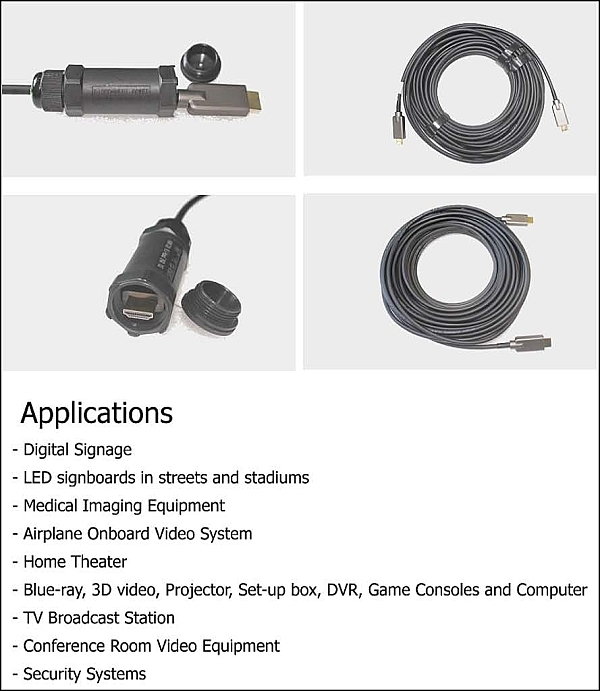 Rugged ODVA Adapters and Mating Cable Assemblies(IP67), designed specifically for harsh environment applications. 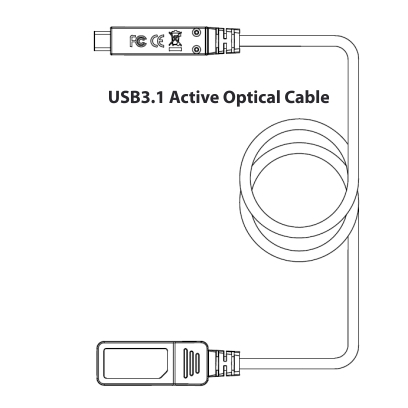 USB 3.1 Active Optical Cable (AOC) capable of extending the transmission rate up to 5M with a speed up to 10G. 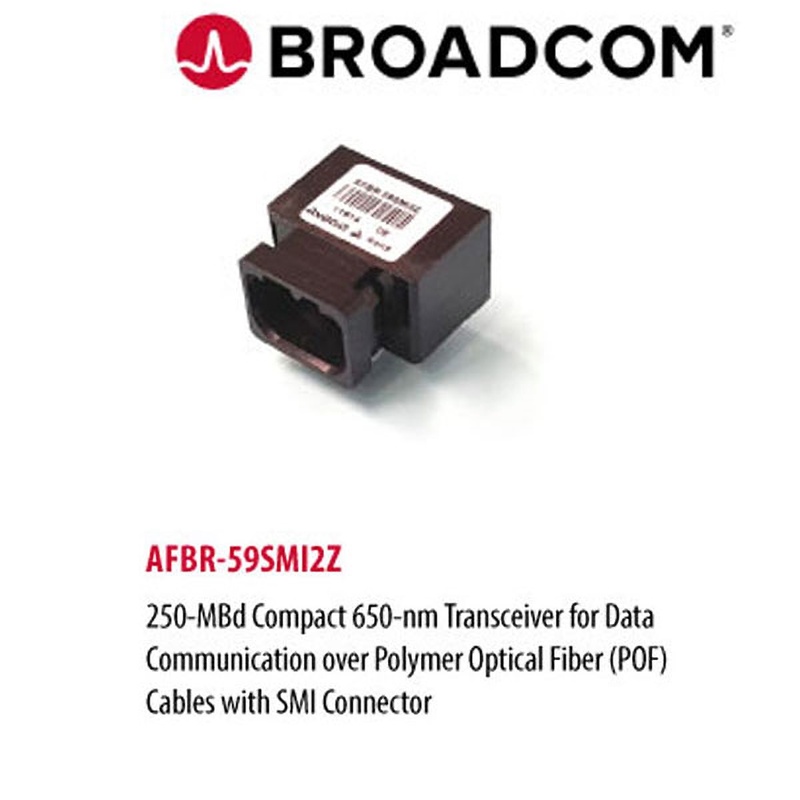 250-MBd Compact 650-nm Transceiver for Data Communication over Polymer Optical Fiber (POF) Cables with SMI Connector. 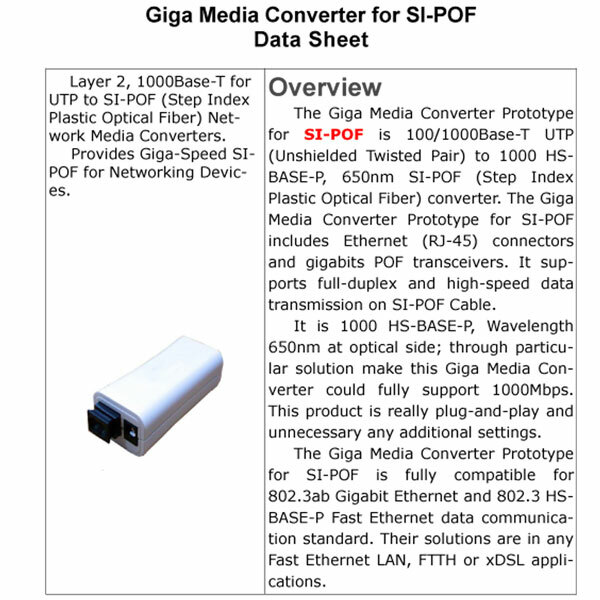 Giga POF Converter capable of delivering 1 Giga data over 50 meters of POF. 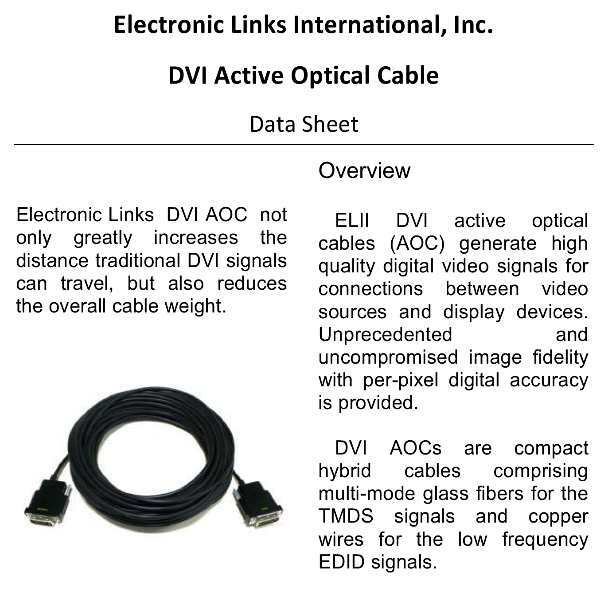 DVI A type Active Optical Cable (AOC) capable of delivering a date rate of up to 5G to a distance up to 100 meters. 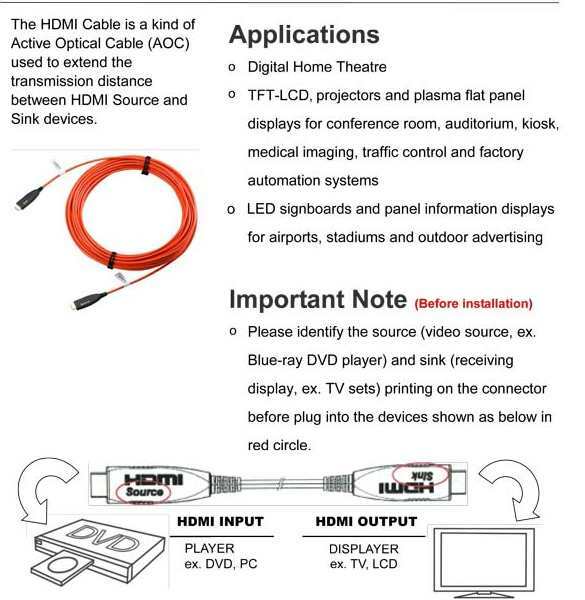 Cable (AOC) A plug and play cable to extend the transmission distance up to 100 meters.